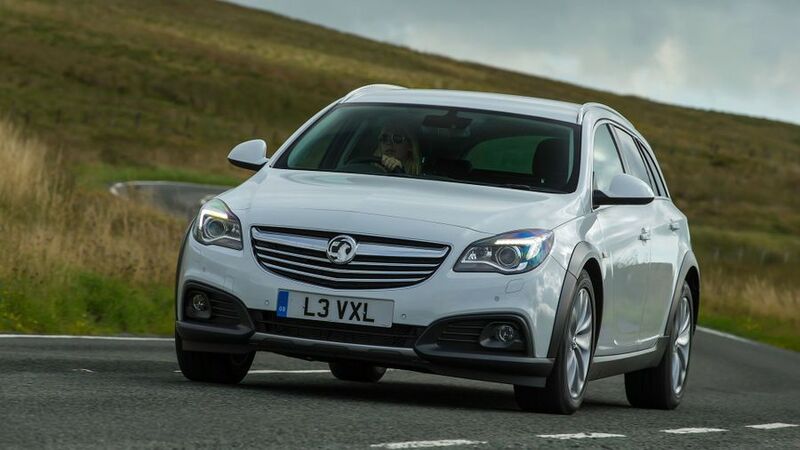 The Vauxhall Insignia Sports Tourer is one of the most popular family estate cars there is. When it competes with cars like the Volkswagen Passat and Ford Mondeo, that's saying something. 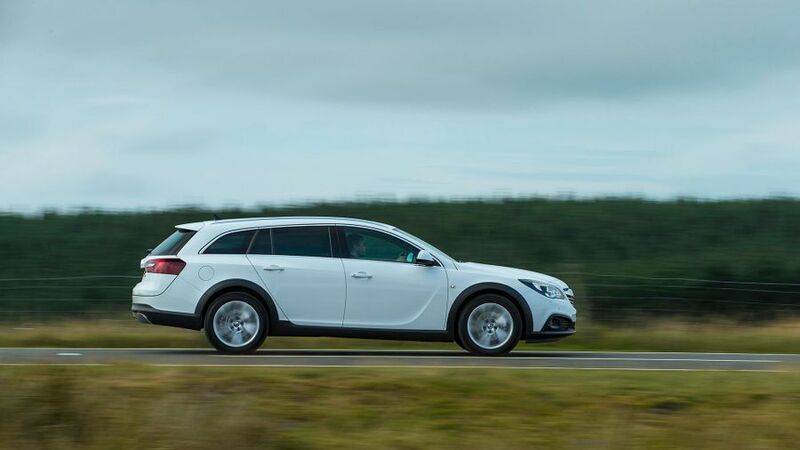 The Insignia Sports Tourer falls a long way short of its best family estate rivals in a number of areas. Most importantly, it’s not as practical due to its narrow boot and more limited cabin space; but, it also can’t live with the best for refinement, ride comfort or interior quality. However, it does provide handsome-looking transport and low running costs for company car drivers, and that will be good enough for a lot of people. If you’re one of those people, there’s no harm giving it a look, but be sure to try a Ford Mondeo Estate and Volkswagen Passat Estate as well. Even when compared with much newer rivals, the Insignia Sports Tourer is a handsome-looking estate car. The massive, deep grille dominates the front end, while the sleek-looking headlamps sweep away at the sides. Further rearwards, the roofline tapers attractively, while the intricately shaped rear light clusters are connected by a chrome strip. All versions come with alloy wheels and LED daytime running lights, while SRi and VX Line trims get a sporty makeover, with bigger wheels and a collection of skirts and spoilers. The Country Tourer models, meanwhile, have a jacked-up suspension and various bits of rugged-looking body cladding to make them look more like an off-roader. 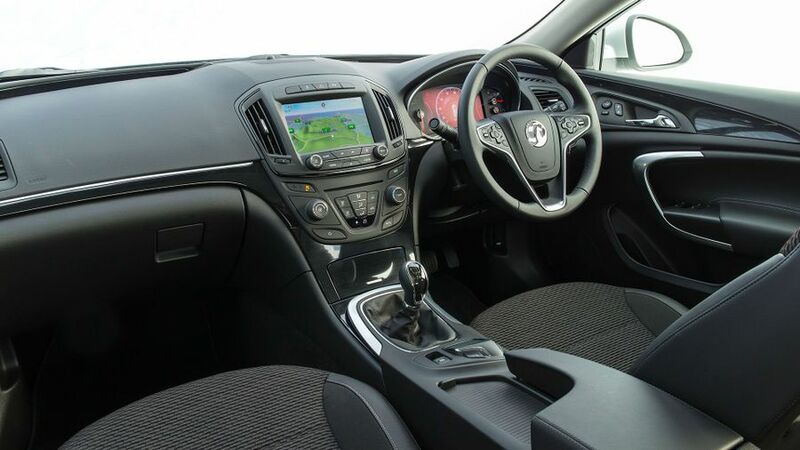 The Insignia’s cabin is a mixture of positives and negatives. On the plus side, the seats are comfortable and supportive, while the simple dashboard design makes it easy to find and use all the various buttons. If you go for a version with sat-nav, however, the ergonomics take a turn for the worse. The system is controlled partly through a touch-screen and partly through a mousepad-like controller positioned down by the gear lever. It’s a distracting and imprecise way of doing things, and neither the pad nor the screen is sensitive enough. The menus are arranged in a pretty bizarre way as well. To cap it all, quality isn’t as strong as it is in many rivals, either, with some fairly hard, dour-looking plastics. This is a crucial area for any family estate car, and unfortunately, the Insignia Sports Tourer does a pretty disappointing job compared with rivals such as the Ford Mondeo Estate and Volkswagen Passat Estate. The Vauxhall’s boot is a little narrower and shallower than those rivals’, you have to lift items over the protruding rear bumper, and it’s easy to bash your head on the low-hanging and pointy-edged tailgate. That said, the split-folding rear seats lie flat when you fold them down, and dropping them is nice and easy. The passenger compartment isn’t particularly generous on rear legroom, but there’s plentiful headroom, and four adults will travel reasonably comfortably. Big estate cars are generally used as family carry-alls, and with cars like these, a cosseting ride is more important than anything else. Unfortunately, the Insignia just isn’t as comfortable as a lot of its rivals. There’s a slight jitter, even on surfaces that look smooth, and bumps and potholes aren’t dealt with smoothly enough. Go for one of the trims with SRi somewhere in the name, and you get big wheels and a lowered sports suspension that make the ride even worse. No Insignia is that satisfying in the corners, either. It feels big, heavy and cumbersome compared with a lot of its rivals, and the steering feel rather numb. There’s a vast range of petrol and diesel engines to choose from with the Insignia, and the vast, vast majority of people go for the latter. The choice of these varies from fuel-sippingly frugal to Porsche-scaringly powerful (well, nearly), and there’s a choice to cover pretty much everything inbetween. The ones of most interest to most people will the 2.0-litre units with 118bhp and 138bhp thanks to their impressively low CO2 emissions. They give decent performance, with good low-end pull and a reasonably broad spread of power. However, they're horribly noisy, sending far too much clatter and vibration through to the cabin. The 168bhp 2.0-litre diesel is much more refined, making it the Insignia's most pleasant engine. However, thanks to its higher CO2 emissions and list prices, company car tax bills will be quite a bit higher than they will on the less powerful diesels. This is one of the areas in which the Insignia compares very well with its rivals. The two most popular engines, the 2.0-litre Ecoflex diesels with 118- and 138bhp, give carbon dioxide emissions of less than 100g/km, and that means exceptionally low tax bills for company car drivers. They also return fuel economy of more than 76mpg, which helps with your running costs. The more refined 168bhp diesel won't be quite as cheap to run, but bills won't be prohibitively expensive if you want your Insignia to be as pleasant as it can be. What won’t help your long-term costs, though, is the heavy depreciation that the Insignia suffers. If you’re a private buyer, make sure you push your dealer for a big discount to help offset your losses. It shouldn’t be hard, because Vauxhall dealers are always willing to trim sticker prices by a big amount. Vauxhall currently ranks mid-table in the manufacturer standings of Warranty Direct’s Reliability Index, but as an individual model, the Insignia doesn’t score particularly highly. What’s more, you don’t get a particularly competitive warranty package, with only three-year/60,000-mile cover. If you thought there were a lot of engines to choose from, wait until you see the choice of trim levels. 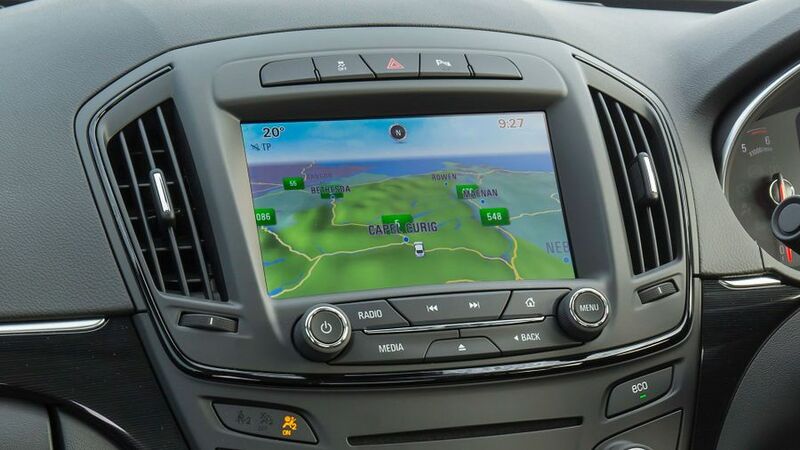 The sheer number of them is simply dizzying, not least because pretty much every trim is also available in ‘Nav’ format, which adds satellite-navigation. Entry-level Design cars come with remote locking, electric front windows, climate and cruise controls and a stereo system with DAB and Bluetooth, but you have to upgrade to SRi trim for powered rear windows, as well as a sporty makeover. Tech Line trim gives you automatic lights and wipers along with standard sat-nav, while Elite trim comes with leather and a bunch of other toys. The Country Tourer model comes with adaptive suspension and all the off-road styling, but you don’t automatically get four-wheel drive; you have to specify it. 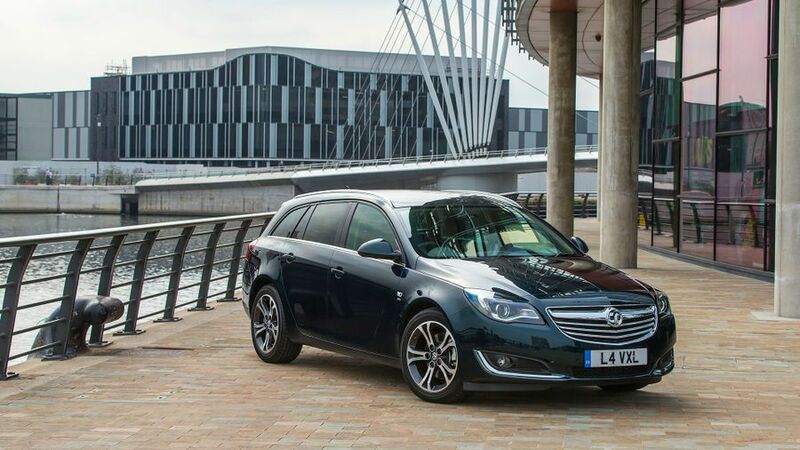 Maybe because you like the Insignia’s handsome looks, but more likely because the Sports Tourer is very, very affordable to run as a company car thanks to its low CO2 emissions. However, the big Vauxhall trails key rivals in a variety of different areas, so unless the numbers really stack up, we’d point you towards one of the alternatives.